locations where people with disabilities can join their friends and families on the beach. that can accommodate pedestrians, strollers and wheelchairs. 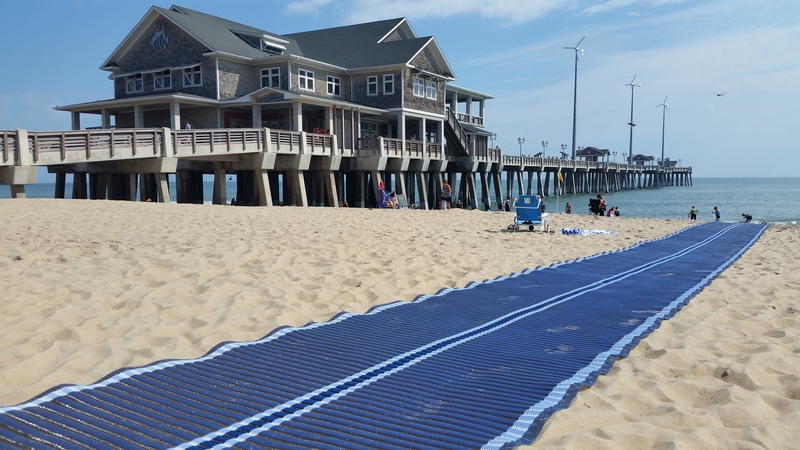 The Mobi-Mats will be deployed from the stairs and wheelchair ramp at our public bathhouse which entertains more than 500,000 beach-goers a year. Sponsorship of ADA beach access mats would strengthen the pier’s brand as a facility that welcomes everyone equally. A plaque at the base of our bathhouse ramp would include recognition branding for the sponsor. Care and maintenance of the beach mats will be covered by the Pier.
. The sponsor will be recognized with appropriate signage and via the Pier’s social media outlets.